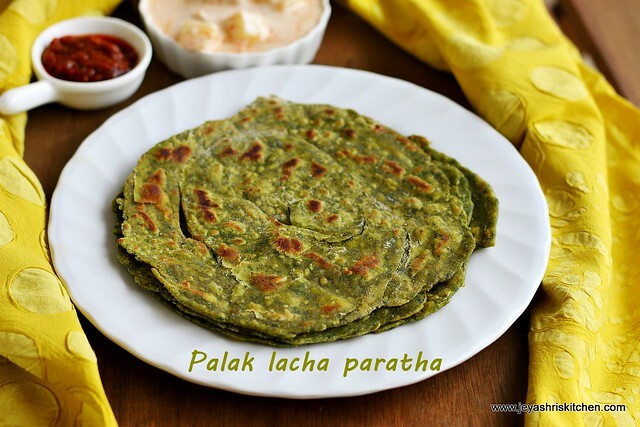 When i bought a bunch of spinach last week, i wanted to try Palak paneer paratha. 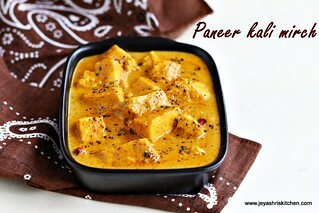 But last minute i noticed paneer was very less and was in no mood to make paneer at home too. So thought i will make palak phulkas and ended up with making lachha parathas. 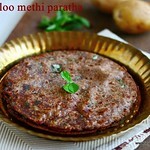 I have already posted laccha paratha recipe. 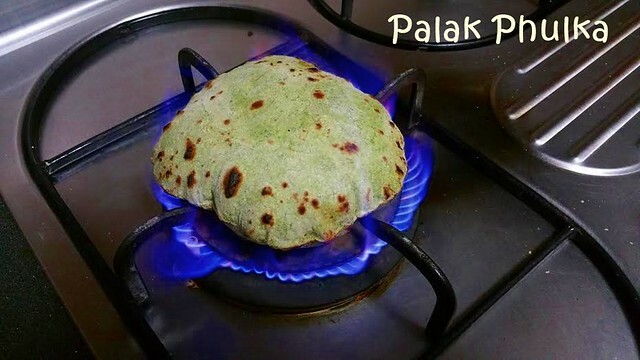 You can also make palak poori also with the same dough. 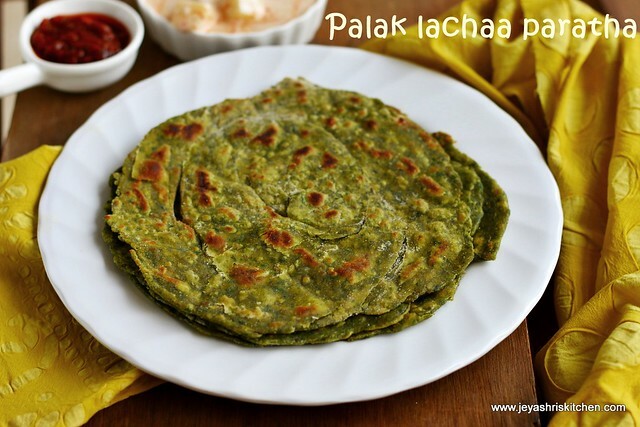 Try Palak paratha at home and shre with me how it turned out. 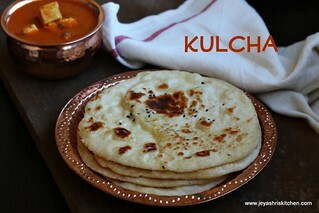 You can make this as plain parathas too instead of lachha paratha. Wash and clean the spinach nicely. In a wide pan, add 4 cups of water and sugar and allow the water to boil. When the water starts boiling add the palak leaves to this and the green chili too. Switch off the flame. Let this sit in the hot water for 2 minutes. Drain the water and run the spinach in cold water for few seconds. When it is cool, puree it in the mixie. 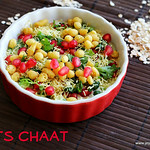 In a wide bowl add the flour, ajwain, salt and add the puree to this. Mix well into a pliable dough. You can add little water to this while making the dough. Add 1 tsp of oil to the dough and keep it covered for 10 minutes. Make the dough into equal lemon sized big balls. Dust it with flour and roll this into roti. Apply oil | ghee on this. Smear with little dry atta to this. Start making layers by folding the parathas like how we do a hand fan. You have to make thin pleats. Twist this pleated paratha and make it into a round. Roll the parathas gently. Do not put too much pressure while rolling. If needed dust with little flour. Heat a pan and place it the rolled paratha on the pan. 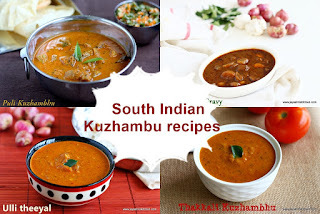 Cook on both sides and drizzle ghee| oil on both sides. Repeat this for the rest of the dough. 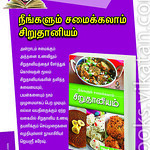 Serve the parathas with any simple raitha and pickle. 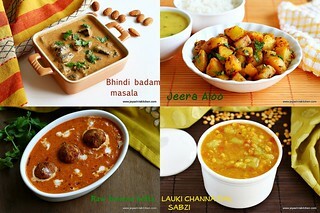 If needed you can make any side dish of your choice. I served with potato raita (recipe coming soon) and tomato pickle. The more thinner the pleats the more flaky parathas you get. You can add 1/4 cup of maida to the dough to make if needed. Instead of green chili you can add red chili powder too. 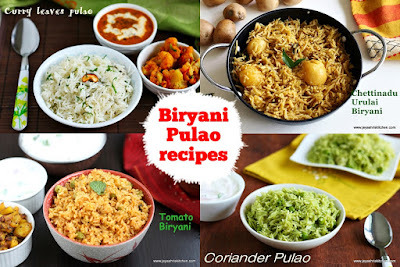 A pinch of garam masala can be added to the flour while making the dough. 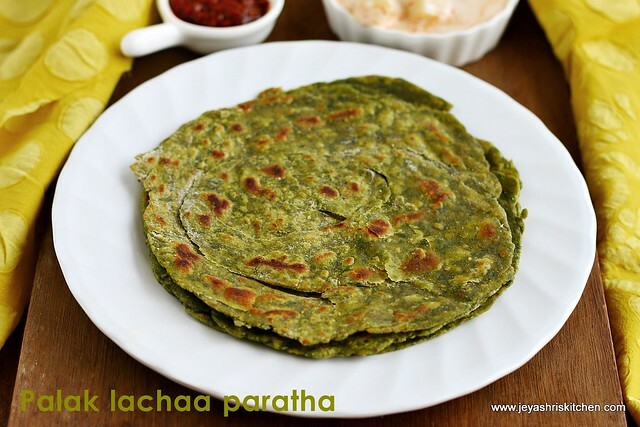 Instead of spinach, you can blanch mint leaves or coriander leaves to make the paratha. You can make this as phulkas too instead of parathas. I just clicked that with my mobile. I love your recipes and the step by step pictures, thank you so much for sharing your incredible cooking skills :) I love spinach so these paratha look delicious! 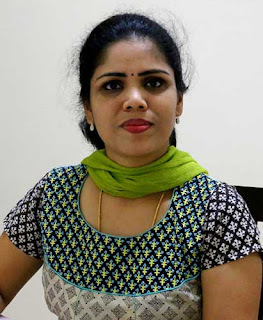 hai mam, i am a great fan of ur cooking.pl post how to make phulka,without getting it burnt.